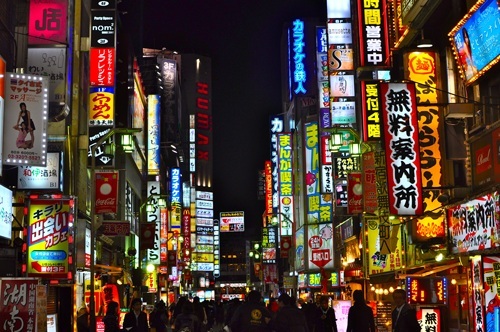 Toronto to Tokyo, Japan - $774 roundtrip including taxes | new record! 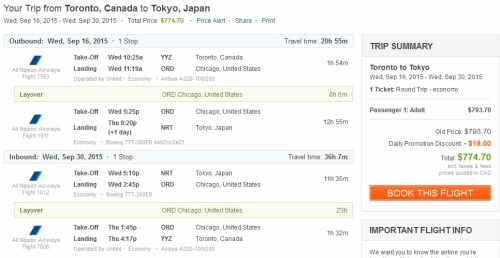 There's officially a new record for the cheapest roundtrip flights from Toronto to Tokyo, Japan - at $774 roundtrip including taxes. Heads up: Some of the flights appear to be 100% with United, while others are with United between Toronto and a U.S. city, and then ANA between that U.S. city and Tokyo. I'd say definitely look for the ones using ANA between the U.S. and Tokyo if you can. You can also find them in October and November. Start with one of the searches above and modify the dates on FlightHub when you get there. Focus on Wed to Wed dates. You can also try one week trips, two week trips, three weeks, etc. They key is to use Wednesday dates. toronto, yyz, flight deals, asia, tokyo, japan, nrt, east asia, united airlines and ana all nippon airways.